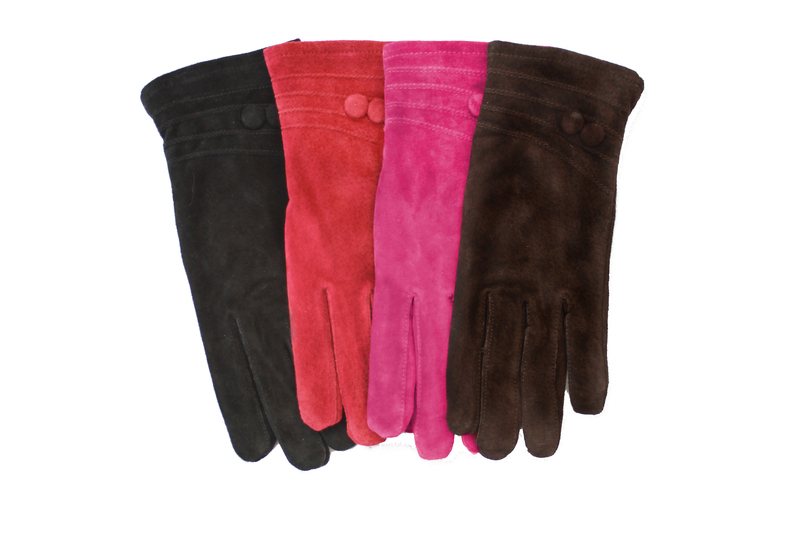 Ladies suede glove with contrast leather bow and piping detail. 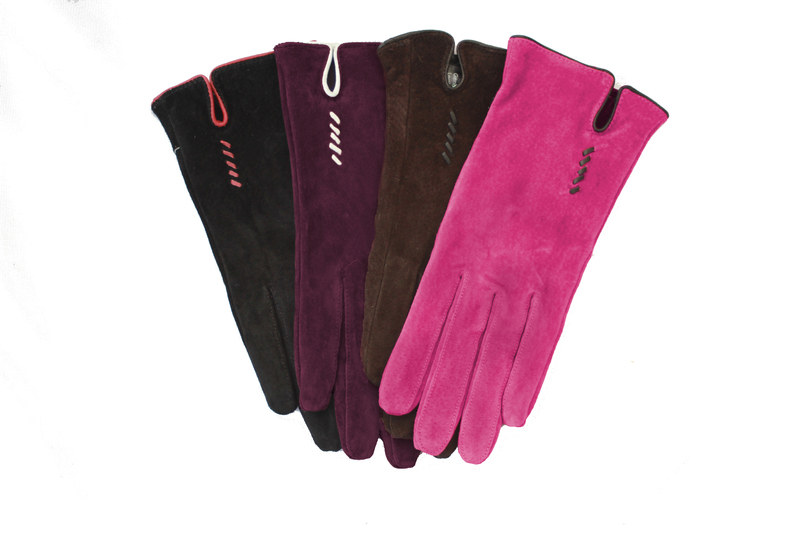 Ladies suede glove with criss cross stitching detail. 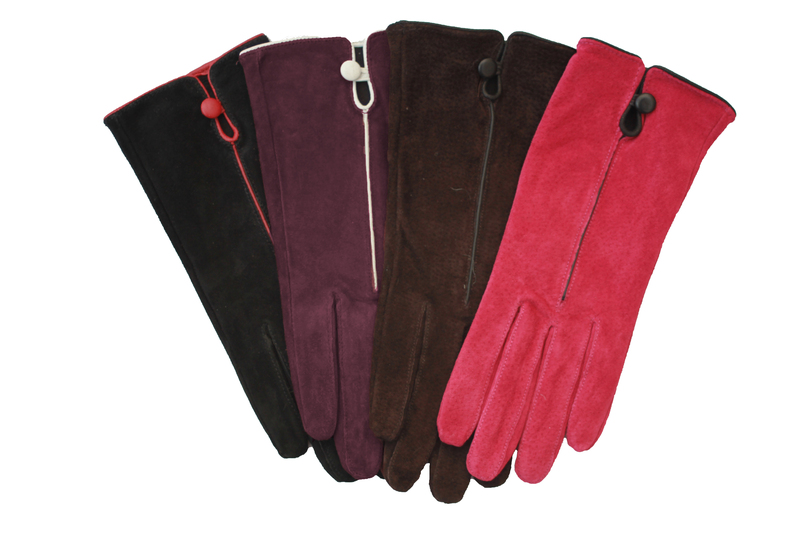 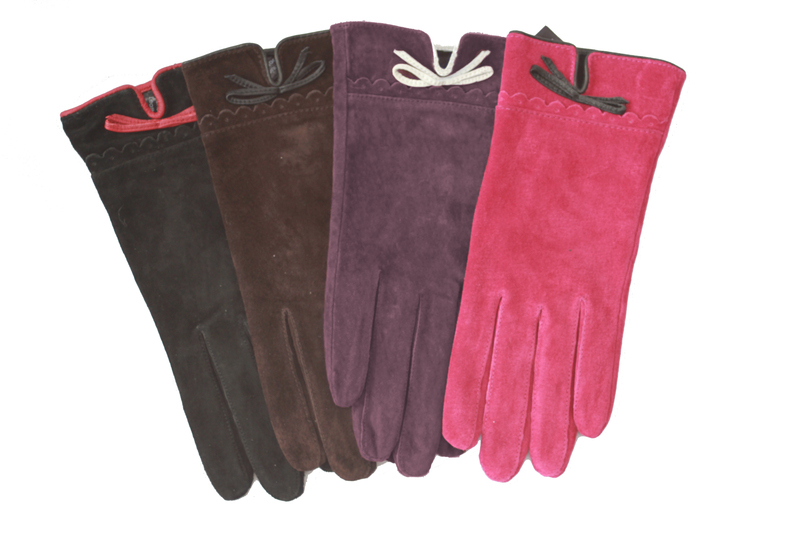 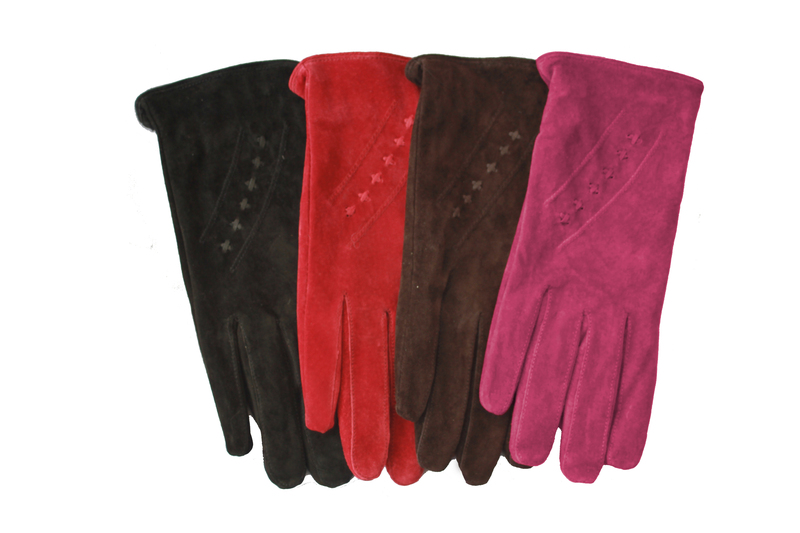 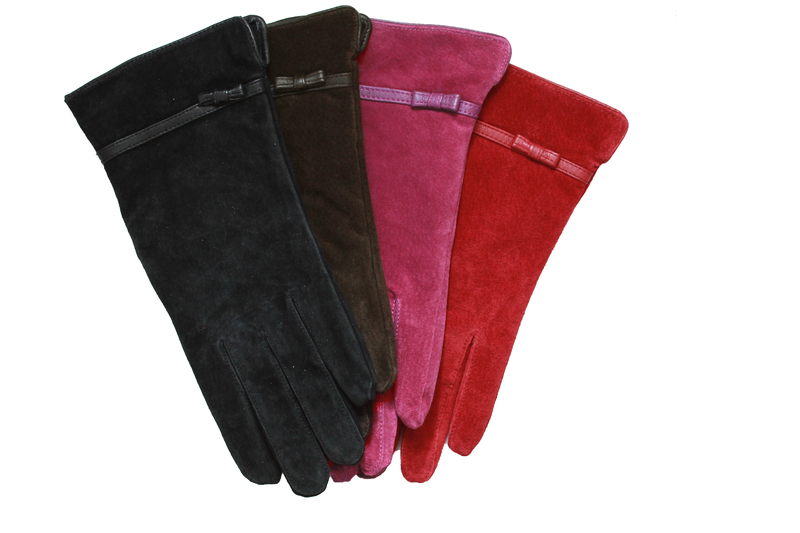 Ladies suede glove with button detail.